Welcome to Kalai. What does it mean, we’re often asked. It’s a Tamil word meaning all things artistic, the craft of artists and artisans. This is the first step on a journey on which we hope you will join us for the long haul. 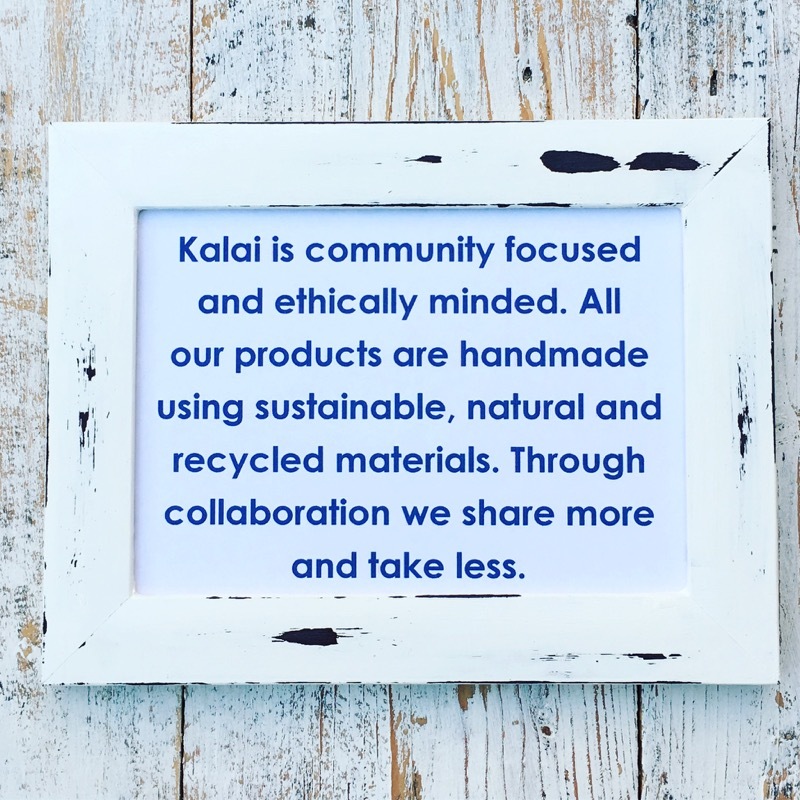 Kalai was born of a need to give back to humanity in some small way while creating a business that treads lightly on the earth, gives more than it takes and that shares more than it demands. Do these ideals go hand in hand with a commercial enterprise? Well, we believe they can, because we know that our ideals are shared by many other businesses and individuals out there whose ethics we respect and admire, and we’re setting out at the height of optimism to achieve the same. Our collections of home textiles and apparel are handmade, mainly in the villages beyond the cities of India, by artisans whose crafts have been honed over many generations. Our cotton towels are created on handlooms in the family homes of weavers in West Bengal, our sandals are handmade by cobblers near Delhi, the embroidery on our kaftans is piecework hand-stitched by a group of artisan women in Kolkata and the dohar blankets, quite unique in there soft cotton triple-layering, are the work of artisans in Rajasthan. We’ve chosen this path to preserve these skills so that production can be passed down to future generations, providing ongoing education and employment opportunities, especially for young girls. And stay tuned as in the future we’ll take you there through online videos. We’re certainly not the first to tread this path and we hope not to be among the last. We believe this is the way forward to better the human condition and to better the planet for own future generations. Community over consumerism is the best hashtag we’ve seen lately and it couldn’t be said better in our book. Thanks for stopping by, hope you’ll stay.